Size: 14.5" diameter; weighs ½ lbs. 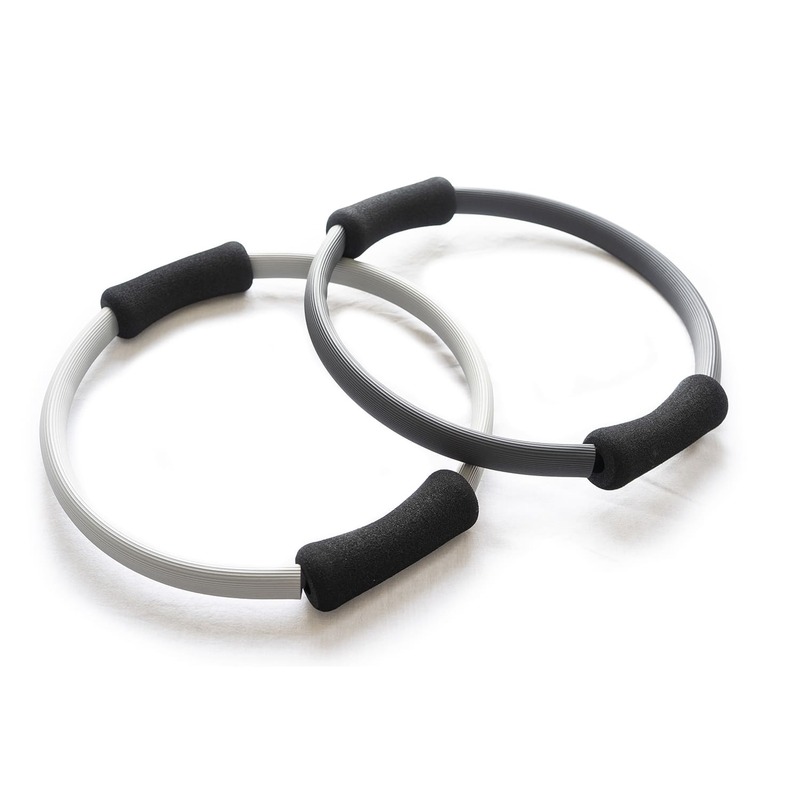 Our Pilates Resistance Ring is called for and a must-have for Pilates classes. Do you want to grab used rings that have been on multiple strangers’ sweaty thighs and hands? No way! Get your own quality resistance ring at the most reasonable price on the web! This versatile prop is used for both thigh and arm strengthening repetitions. It’s also useful in the living room or at the office — while seated in any chair, position the ring between the thighs and, using the muscles of the core and upper legs, bend the resistance ring in and out. Or use it as an arm press while watching TV. Burn calories and watch the game at the same time! This is a firm ring for a more challenging workout. These rings are hard to find and they are very expensive usually. I was happy to order them on sale and begin to stock my home yoga studio! Lightweight and comfortable. My clients prefer them over my more expensive fitness circles. EXCELLENT value. I ordered this item for my dad for Christmas and he loves it. This ring is really great. It is strong the pads are nice and soft. I love all the new exercises I can do. I needed to replace all of the resistance rings at my studio due to wear and tear. I was pleasantly surprised to find that yoga accessories had pilates products and offered a whole sale price. My students love the rings and they are very comfortable to use.